This recipe is very complex. 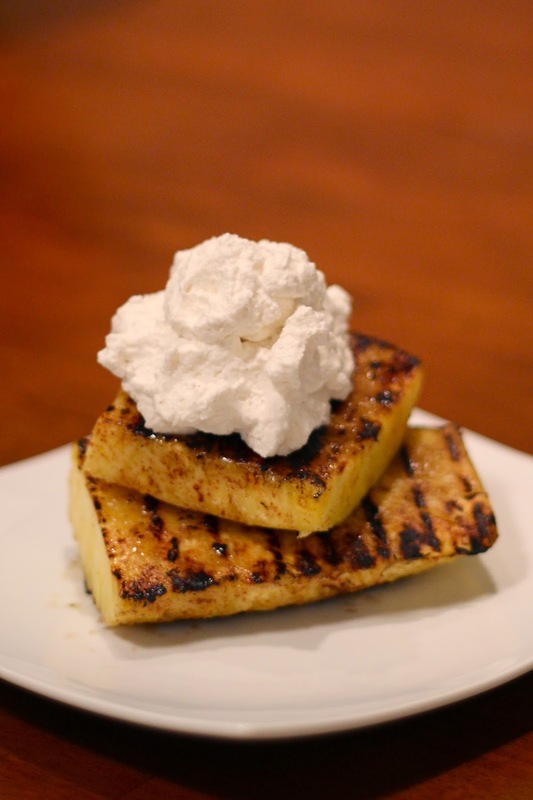 Basically, you grill some pineapple and then top it off with fresh whipped cream. Sounds impossible doesn't it? I kid. It's super easy. The hardest part is whipping the heavy cream (which, if you have a decent stand mixer, isn't really hard at all.) What I love about this dessert is that it feels rich and decadent, but it's simple and on the scale of really unhealthy to not-that-unhealthy, this one definitely falls in the latter category. Oh, and I must mention, this may or may not be the pineapple that was featured in my Memorial Day Weekend post. Check out more photos below. Prepare charcoal or gas grill and get grate to medium-high heat. Place your pineapple steaks in a bowl and use your hands to coat all sides with butter (this will help them to not stick to the grill.) Sprinkle 1 teaspoon of cinnamon over the pineapple. Pour heavy whipping cream into a bowl and begin to beat with a stand or hand mixer on high until peaks begin to form. Add sugar, vanilla extract, and remaining teaspoon of cinnamon to the whipped cream and beat for 1 minute longer. 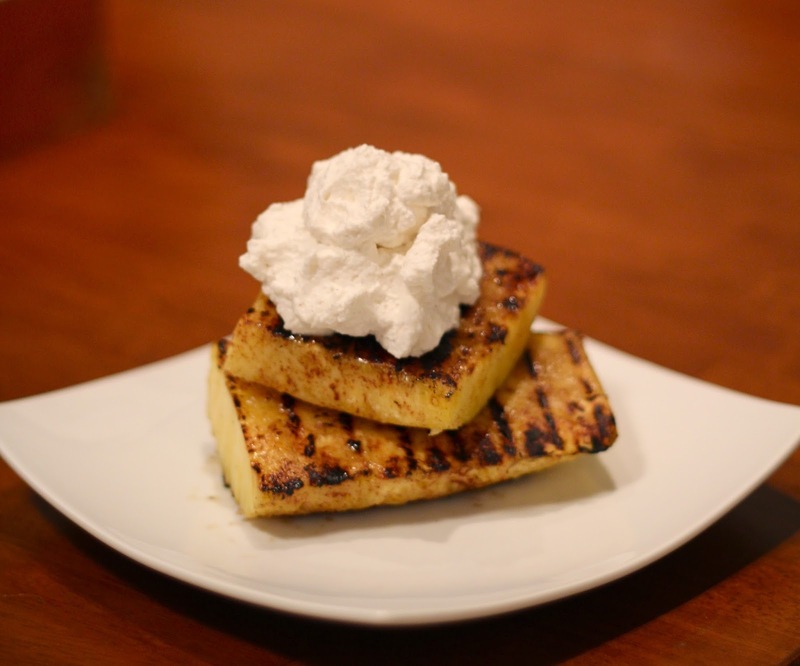 Cut each pineapple piece in half, stack and add a liberal heap of whipped cream and enjoy!